Oh my, thank you so much for this award. I never thought when I woke up on Wednesday morning with a searing sore throat, a fever of 101 and unknown liquids forming in my head and sinus areas that there would be such a reward at the end. Looking back a whole six weeks ago, I never believed such sickness would get me again. Those who know me, know my aptitude for being the one who gets the sickest and stays that way the longest. I would like to thank all my supporters who helped me achieve this award. To Jeff: Thank you for taking care of the children while I took to bed and slept and sweated and requested food and liquids. But mostly, I thank you for not killing me. 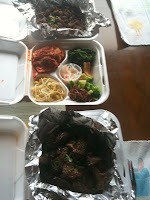 To my parents: Thank you for bringing us Korean for dinner last night. This may have been the reason I finally saw the sunlight and rose from my sickbed. A special shout out to my dad for coming to get the kids this morning and taking them to the park. Not sure what I did to continue to receive all these wonderful gifts! To my children: Thank you for helping dad keep the house intact and for behaving, kind of. As I look back at my illness from six weeks ago, I happened to notice that it coincided with working the nursery on a Sunday morning. I worked the nursery this past Sunday and was sick three days later. Now, I am placing no blame on the nursery. Many, many parents stay in the nursery and aren't bed ridden three days later. However, it doesn't take a Jessica Fletcher to put two and two together. 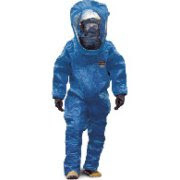 The next time I am required to serve in the nursery, and I am happy to do so, I will be wearing this. This is a great blog and headed toward thousands of "reads" is my prediction. We have to get to working on the authors immune system. The problem I'm seeing is sheves at ECU lined with unopened bottles of Vit C. What to do? God bless 'Merica." Okay Jerry, maybe not thousands of "reads", but those that count. This is the greatest blog ever. Thank you Rach, and thanks for the pictures of the kids. Keep them coming. No up-slope here. Love you, GrannPa.